The benefits of custom kitchen cabinets include increased personalization, longer shelf life, and so much more. 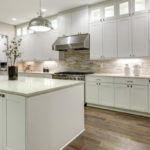 Custom kitchen cabinets are undoubtedly going to cost more money than semi-custom or stock kitchen cabinets but in some cases they are truly worth it. The key is to know if you need to pay the extra money for custom cabinets or if stock or semi-custom cabinets are more suited to your needs. You can always do a mixture of stock and custom cabinetry to save money but still get the custom design elements most important to you. What Is The Difference Between Custom Kitchen Cabinets, Stock Cabinets & Semi-Custom Cabinets? 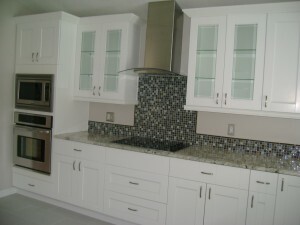 Custom cabinetry is built on site in your kitchen as opposed to being built ahead of time and sold as is. On its own the term custom cabinets doesn’t necessarily mean ‘better’ as people often assume. The quality of custom cabinets depends on sourcing of materials, installation and other factors. Although, in most cases custom cabinets are the high end option because they are built to meet your specifications and often include higher quality wood and craftsmanship. Stock cabinets are built ahead of time based upon standard cabinet sizes and placed on shelves waiting for people to buy them. This is why it is quicker and cheaper to get stock cabinetry. Semi-custom cabinets are partially built before they are ordered. They include unfinished elements that are customized to your preference before installation. Custom cabinets are highly coveted because they are built to fit your lifestyle, design preferences, cooking habits, storage inclinations, and uniquely shaped kitchens. Stock cabinets are made for one type of person, the ‘average’ person, which works for some but not for all. If you want new and innovative storage that allow for greater use of space custom cabinets offer this. Is your kitchen an odd shape, or abnormally small or large? One of the worst things that can happen during your kitchen remodel is to find out the stock kitchen cabinets you purchased do not fit properly. 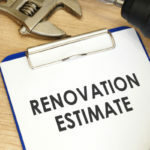 This can set back a kitchen remodel months. This is never an issue with custom cabinets because they are built to fit your specific kitchen measurements. Custom kitchen cabinets are customizable in every way, including the types of materials used to craft them. It’s up to you to decide what type of wood, style and finish you want to go with, as well as the hardware that will best match. If you go with stock or semi-custom cabinets your options are much more limited, and sometimes you don’t have many options at all. When you have the chance to pick the details that go into your cabinets your kitchen becomes an even greater representation of you. Many kitchens have less cabinetry than they technically have room for. This is because stock cabinets are made in certain sizes to fit the ‘average’ kitchen. The thing is, kitchens come in all shapes and sizes meaning almost all will have blank spaces left over where stock cabinets won’t fit. A perk of custom cabinets is that you can order any size you want. Extra tall cabinetry or nifty little cabinets for snug spaces prevent any wasted areas, giving you all of the storage you need and then some. 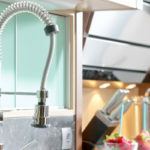 You may also get creative and add things like a spice cabinet, cutlery cabinet or island cabinetry that helps you store more than stock cabinets would ever allow. Properly built and installed custom cabinets are proven to last longer than stock cabinets, largely due to the way they are made. Stock cabinets are made in bulk on assembly lines while custom cabinets are made for you, one at a time by hand. Intricate joints, dowels or mortise-and-tenons are used to piece together custom cabinets, while stock cabinets are usually slapped together with inexpensive glues and nails. You are going to pay for this level of craftsmanship but it will pay for itself with longer lasting cabinets and increased home value. When you buy anything stock you can’t be sure where materials were sourced or what sort of ecological footprint it has. 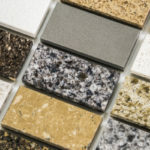 When ordering custom cabinets the details are all up to you, allowing you to pick eco-friendly or recycled materials or wood. Custom cabinets grant you the choice of local or domestic hardwoods that reduce the impact your cabinets have on the environment. Are You Really Tall Or Short? If you are 5’2 or 7’2 you have different needs than the average 5’8 individual stock cabinets are designed for. Custom cabinets give you the opportunity to create a kitchen that works for you, without needing to keep step stools around, or having to bend over all day long. You can save a whole lot of money on custom cabinets by purchasing them wholesale through Tops Kitchen Cabinet. In fact, you can score high quality custom cabinetry for prices better than stock cabinets elsewhere. Contact us today to learn more!